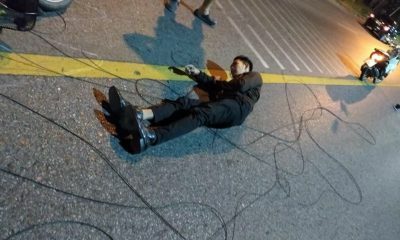 A foreigner has sustained an injury after a cement truck became entangled with cables and brought down four power poles in Chalong . 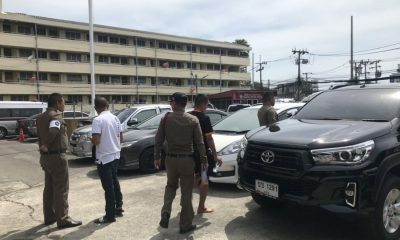 The incident was in Soi Anusorn at the intersection with Patak Road in Chalong at 12.25pm today. Police and rescue workers arrived to find the cement truck sitting in the middle of the road. 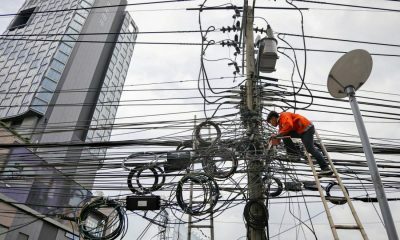 Cables were found around the front of the truck. Nearby rescuers found a damaged white sedan. 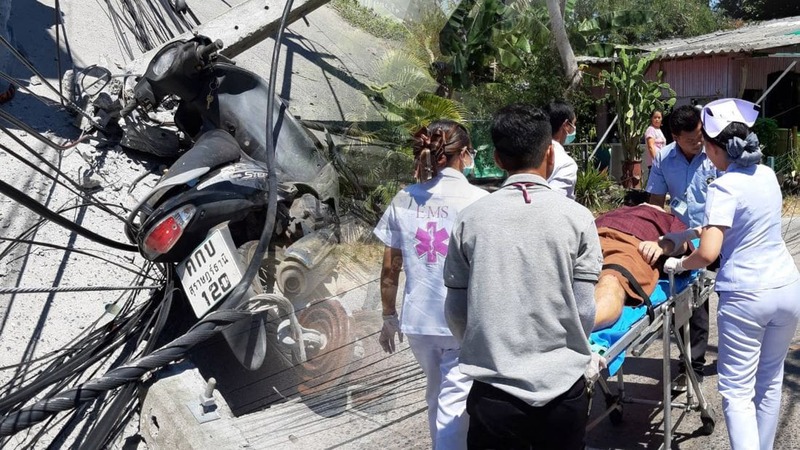 A foreign man, driving a motorbike, had sustained injuries and had already been taken to Chalong Hospital. It is understood that his injuries were not serious. 53 year old Boonlert Poesri, the cement truck driver, says he drives the cement truck on the same road every day to avoid the Chalong Circle (which it is being constructed). The truck hooked the overhead cables and, before he realised, the truck has torn down four power poles. The power poles and cabling landed on top of the motorbike and sedan which were travelling behind the cement truck. Another witnesses say they saw a pickup truck hook the cables earlier and pulled it all down so it hung lower causing a traffic hazard.